Here’s a delicious way to protect your kidneys: eat more citrus fruits. A research team has just discovered that fruits such as oranges and grapefruits could help to protect your kidneys in a very specific way – namely preventing the growth of cysts. Citrus fruits contain a special compound that blocks the formation of kidney cysts. The research team, made up of scientists from the University of London, the Royal Holloway University and Kingston University London in the U.K., discovered a compound called naringenin that works to protect the kidneys. In fact, they think the beneficial effect of naringenin is potent enough that the compound should be utilized in a new drug made to fight polycystic kidney disease. Who gets polycystic disease and why is it so problematic? The condition is usually inherited, passed on through the genes from one generation to the next. Polycystic disease can ultimately lead to poor kidney function. Once the kidneys fail to work normally, high blood pressure can result. And once high blood pressure becomes a chronic state, a heart attack or a stroke becomes a very real danger. It’s a case of one important organ experiencing problems, triggering other serious health symptoms elsewhere in the body. Polycystic kidney disease usually affects people between the ages of 30 and 60. The condition currently afflicts over half a million people in the U.S.
Now back to the study and the discovery of the effects of naringenin. The research team noted that previous research identified a protein called PKD2 that was found to be responsible for the onset of polycystic kidney disease. When the researchers doused PKD2 with naringenin, they found that the compound regulated the protein which in turn blocked the formation of cysts. Next up in the study was determining the role naringenin could potentially play in treating polycystic kidney disease. To investigate the potential of naringenin, the researchers induced the formation of cysts in a kidney cell line. Again, naringenin blocked the formation of new cysts. But the researchers were also able to determine that it was, indeed, naringenin triggering a specific effect in the cells, and not some other unknown effect. They confirmed the naringenin, cyst-blocking effect by reducing levels of PKD2 in the kidney cell lines. Once the protein was reduced, there was also a reduction in cyst formation. The researchers say their results are a big step forward in understanding how polycystic kidney disease could be controlled in the near future. They are now conducting further research to find out exactly what it is naringenin is doing on the molecular level. Part of the puzzle will be figuring out how PKD2 goes about regulating cell growth. This is yet more exciting news about the health benefits of eating citrus fruits. When heading to the grocery store this week, grab some oranges and grapefruits. Eat them first thing in the morning as part of a healthy breakfast. Remember that eating the whole fruit has an advantage over simply drinking grapefruit or orange juice: whole fruit contains fiber. The fiber in citrus fruit aids in better digestion and prevents the blood sugar spike that can happen when drinking fruit juice alone. 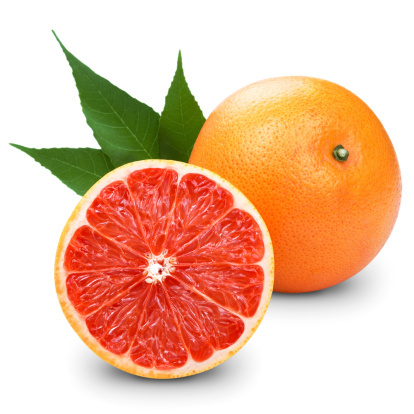 “Citrus fruits may prevent kidney cysts,” Medical News Today web site, Oct. 7, 2013; http://www.medicalnewstoday.com/articles/266994.php, last accessed Oct. 9, 2013. “Component of citrus fruits found to block the formation of kidney cysts,” Royal Holloway University of London web site, Oct. 3, 2013; http://www.rhul.ac.uk/aboutus/newsandevents/news/newsarticles/componentofcitrusfruitsfoundtoblocktheformationofkidneycysts.aspx, last accessed Oct. 9, 2013.